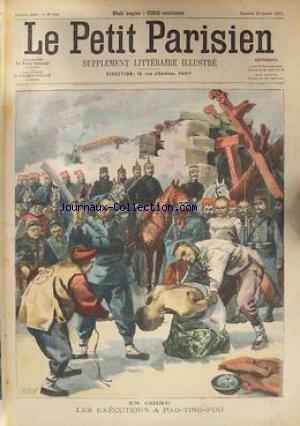 1- EN CHINE – LES EXECUTIONS A PAO-TING-FOU. 2- LE TSAR ET LES TROUPES RUSSES. Partager la publication "PETIT PARISIEN ILLUSTRE (LE) no:624 20/01/1901"
Partager la publication "PETIT PARISIEN ILLUSTRE (LE) no:624 21/01/1901"